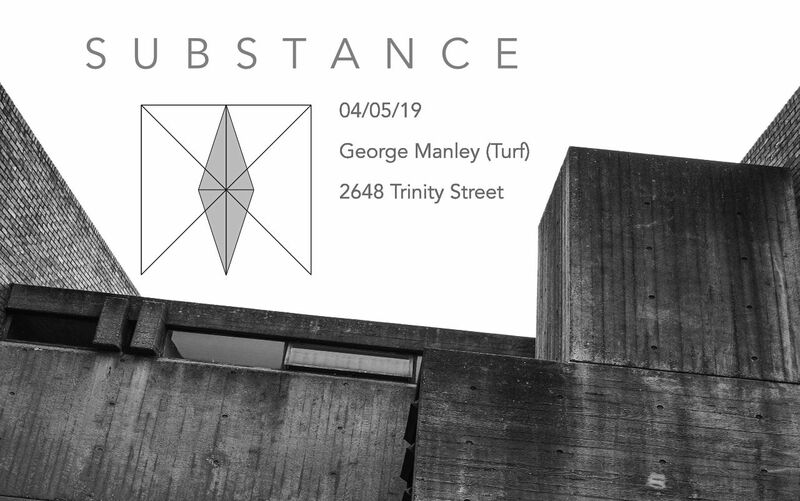 Substance is back, and this time to our basement bar. Expect a full and frantic dancefloor as our residents and guests serve up some of the freshest underground dance music in town. We are joined this time by Turf resident George Manley. Having played alongside acts such as Move D and Palms Trax. We’re very excited to have him bring his darker flavour of bass and breaks to the Trinity Street vaults.